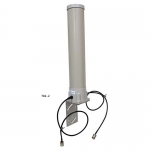 MIMO, short for Multiple input and Multiple Output, as the name indicated, it transmits data with more than one transmitter and receiver in a single devices at a time, thus the transmission rate would be improved than the outdoor antenna without this technology. The improvement depends on design of the MIMO antenna. 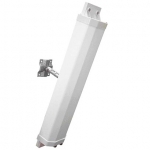 Why choose FWS MIMO antenna? 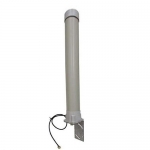 FWS wireless MIMO antenna is designed to be the best product for all wireless environments, we provide detailed testing report including gain measurement, return loss, isolation etc. Check the link below or contact us to get more information.